Fertility Tasmania offer patient friendly short-cycle IVF treatment for couples called Antagonist IVF cycle. On average the Antagonist Cycle timeframe from beginning of a period to pregnancy test is approximately 4 weeks. 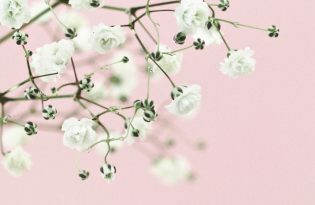 Patients often prefer this process as we know women often find it to be less stressful, have fewer side effects and is much quicker, resulting in answers earlier. The starting point for IVF treatment is obtaining eggs from the ovaries. This is done by administering injections of FSH (Follicle Stimulating Hormone), which encourages the development of several eggs (usually 5-10 however, the number can vary immensely). Injections may last up to 10-12 days. 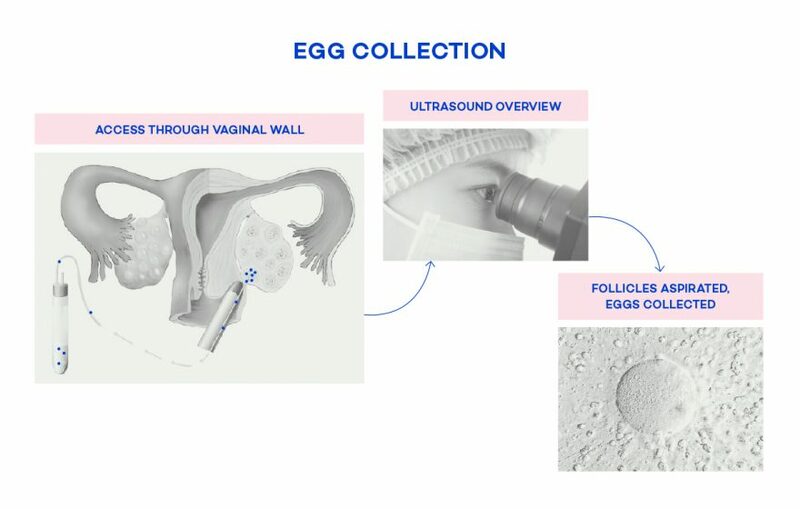 Once enough eggs have developed, they are removed from the ovaries by passing a needle into the fluid filled sacs that contain the eggs (follicles) and aspirating them out. This is a simple procedure that is performed in theatre by one of our Fertility Tasmania fertility doctors under light sedation/anaesthetic. While the eggs are being collected in theatre, the sperm sample is also being prepared. Depending on the quality of the sperm sample there are different preparation methods, however the most common method is called a density gradient preparation. The sperm is added to a test tube that contains a special media, which filters out sperm that have poor motility. If the sperm count is very poor, or if the man has had a surgical sperm collection (link), the sperm sample will be spun to concentrate as many sperm together as possible. These samples are then used to inseminate the eggs. There are two different types of fertilisation techniques. Standard IVF or Intracytoplasmic Sperm Injection (ICSI). 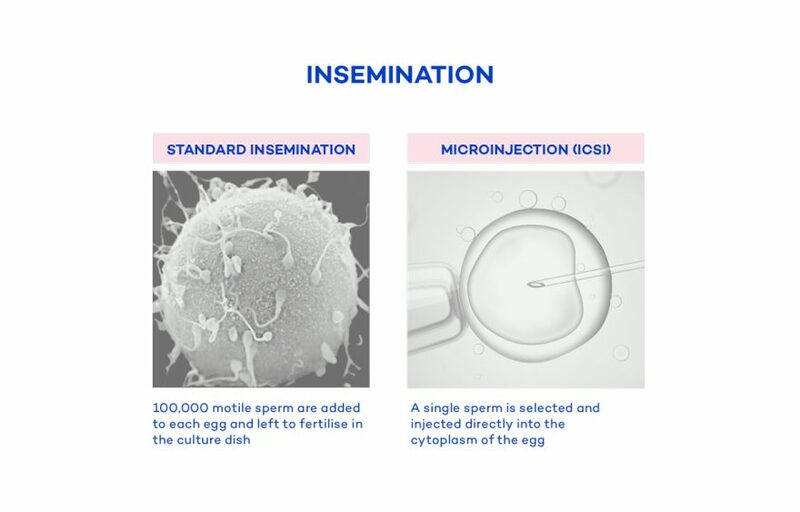 Standard IVF is used in patients that have normal sperm parameters and this involves the scientist in the laboratory placing the eggs and the sperm into a dish and leaving them overnight so that fertilisation can spontaneously occur. 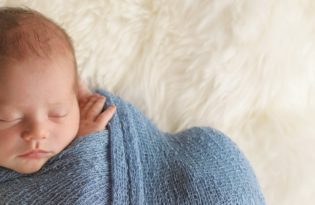 If there are severe problems with the sperm, or if Standard IVF has failed previously, IVF is combined with ICSI, where scientists inject a single sperm into each egg. These are then also left overnight in the hope that fertilisation will occur. ICSI is also recommended for patients who are considering Pre-Implantation Genetic Screening (PGS). The morning after the egg retrieval, the scientists check the eggs for signs of fertilisation. 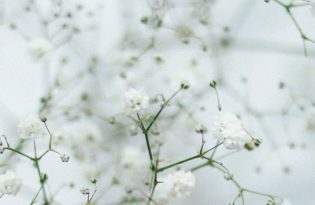 If normal fertilisation has occurred the fertilised eggs are now called ‘embryos’ and are grown in the laboratory until they are ready to be placed back into the uterus. Embryos can be grown in the laboratory for up to five days after egg retrieval. They can be placed back into the uterus at a variety of stages depending on what you have decided with your Doctor. At Fertility Tasmania, we offer two different stages of embryo culture and transfer, either ‘cleavage stage’ or ‘extended/ blastocyst stage’. Cleavage stage is the term used for either day two or day three embryo culture and transfer. This is beneficial for couples that have low numbers of embryos (usually one or two) available for transfer. 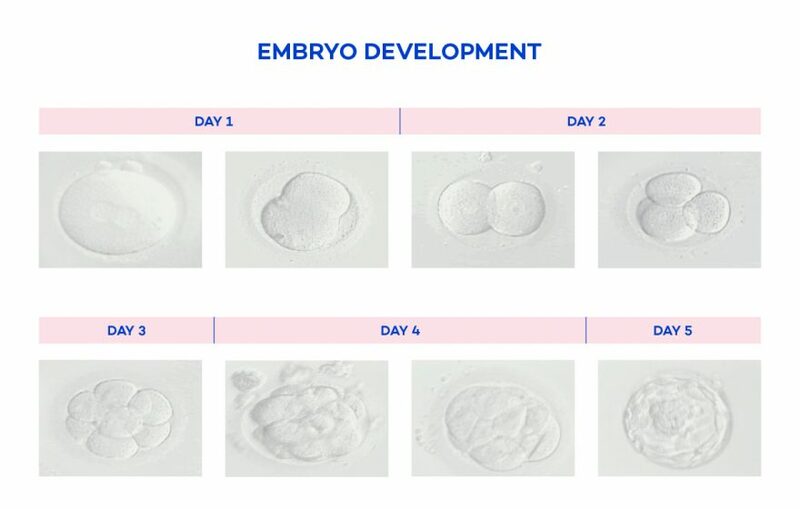 Extended/ blastocyst stage is the term used for either day four or day five embryo culture and transfer. This is beneficial as it allows the scientists to further monitor your embryos and choose the most advanced embryo for transfer. This option is used in patients who have more embryos than they wish transferred and is mainly used to increase selection ability. 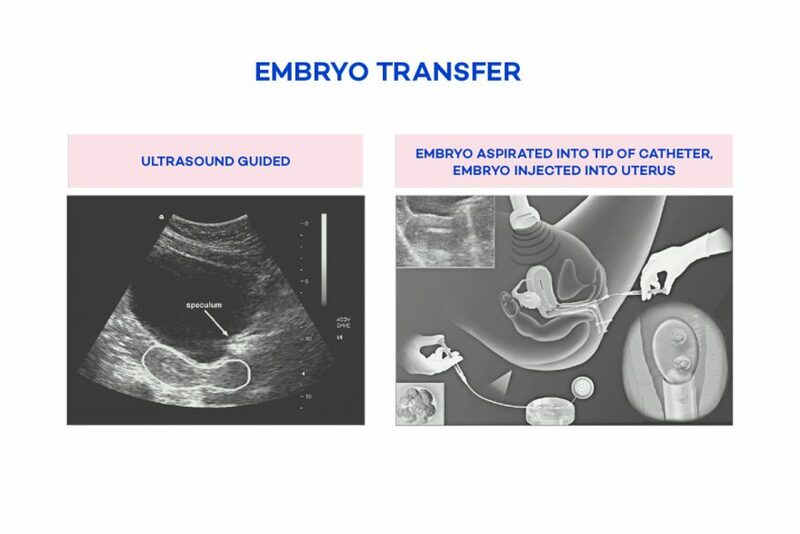 On the day of your embryo transfer, the scientists will assess your embryos and pick the most advanced one for transfer. The embryo will then be loaded into a very soft thin plastic tube and placed back into the uterus. This procedure is very simple, much like a pap smear, and does not require an anaesthetic. Women can return to work and normal activities after a transfer.